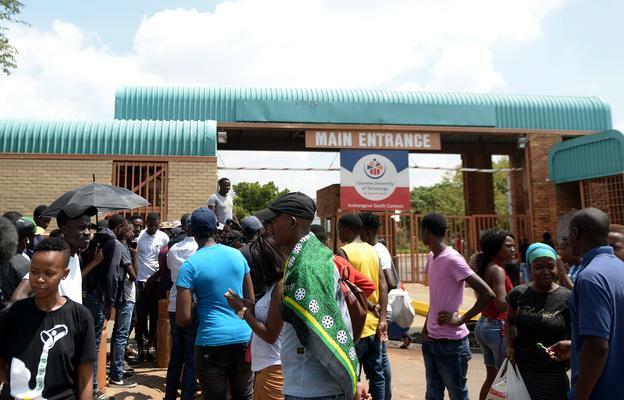 The National Student Financial Aid Scheme (Nsfas) has said that rumours circulating on social media about the organisation cutting ties with Tshwane University of Technology (TUT) students was fake news. In a press statement issued on Tuesday night, Nsfas spokesperson Kagisho Mamabolo said the organisation had been made aware of a screen-shot in circulation showing an alleged news article containing the rumour. “The article further states that this decision was subsequent to the recent protests hailing from TUT regarding meal allowances for students residing in non-accredited residencies following the organisation’s discontinuation of using FUNDI to distribute funds to students,” said Mamabolo. Nsfas had engaged with TUT and wanted to place it on record that the screen-shot and the news contained therein were “fake news”, he said. “NSFAS has not discussed any plans to cut ties with TUT or any other institutions. With regards to student allowances disbursement, NSFAS has never had any agreement with FUNDI or any other third-party service provider. Such malicious content, is not only unreliable, but might cause panic and discomfort and should therefore be disregarded and condemned,” said Mamabolo.